Contrary to popular opinion, Martin Luther was not a pious reformer who embarked upon a crusade to rid the Church of corruption and return Her to a fondly imagined pristine state. Whilst he might have commenced his public career under the guise of a reformer, he ended up a rebel who set into motion a social and religious revolution which rent the Catholic world permanently asunder. 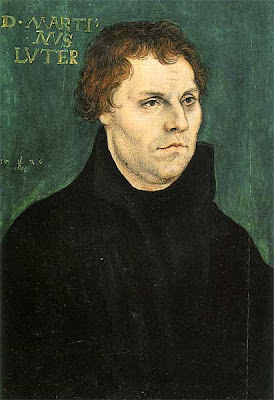 Instead of suggesting any practical solutions on how to reform the Church, Luther offered a collection of fantastical ideas which he attempted to pass off as being theologically sound. For example, in No. 24 he writes that ‘Christians must be taught to cherish excommunications rather than fear them’ whilst in No. 25, he states that ‘the Roman Pontiff, the successor of Peter, is not the vicar of Christ over all the churches of the entire world, instituted by Christ Himself in blessed Peter.’ Luther proposes in theses 31 and 32 that ‘in every good work the just mans sins’ and ‘a good work done very well is a venial sin’. Finally, he proposes in No. 38 that ‘the souls in purgatory are not sure of their salvation, at least not all…’ These theses were sent to a board of distinguished professors, who Luther called ‘buffoons and earthworms. 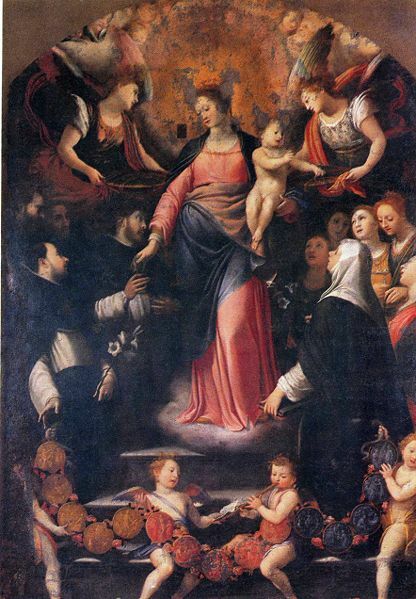 In short, 41 of the 95 were condemned as heretical by Pope Leo X in the Bull ‘Exsurge Domine’ on the June 15th 1520. This was however, too little too late. Luther appeared at time when the Church was in desperate need of genuine reform. Many of the higher clergy were more interested in holding onto political power and things of this world than exercising their pastoral duties. The souls of the Faithful were being neglected. Bishops and Abbots were comporting themselves more like princes than priests. 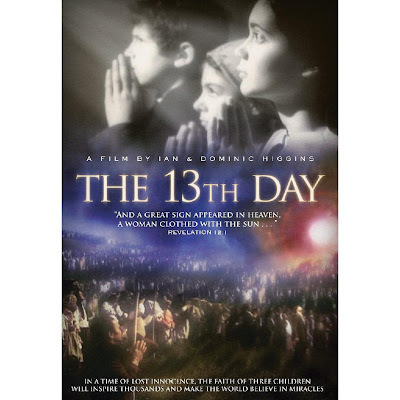 The Faithful had become superstitious, immoral or indifferent. The Papacy had lost its authority, and Rome had become infected by the spirit of paganism. Princes and governments had set themselves up against the Church. This was a revolution waiting to happen. Indeed, Luther’s doctrines spread with greater rapidity than Christ’s own. When the last of the Apostles died, Christians were still hiding in the catacombs in fear of their lives. When Luther died, Protestantism in its many forms had spread like wildfire from Germany to Switzerland, up to Norway and Denmark and Sweden, down to France, Hungary, Poland and the Netherlands, and finally to England. God, it appears, in His Infinite Wisdom, had allowed this revolution to happen. The question is this: Would we have had the true and Catholic reformation, long desired but delayed by so many difficulties, taken up and accomplished by the Council of Trent between 1545 and 1563 if Luther had been motivated by a genuine desire to see the Church reformed? 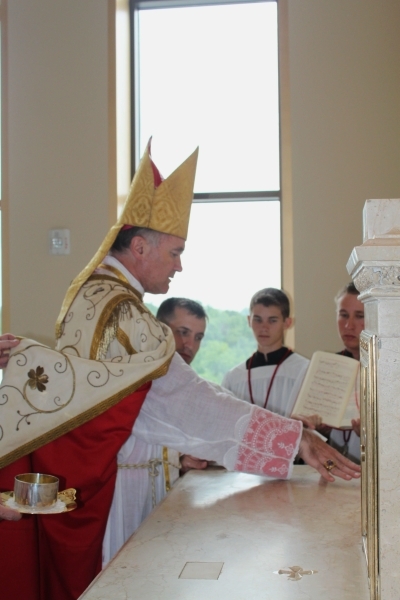 The new priory for St. Therese's Church and Academy is located three hours north of Syracuse, New York, half an hour south of the Canadian border an hour north of the beautiful Adirondack Mountains and Lake Placid. Nicholville has a small grade school and a parish of about 275 persons. 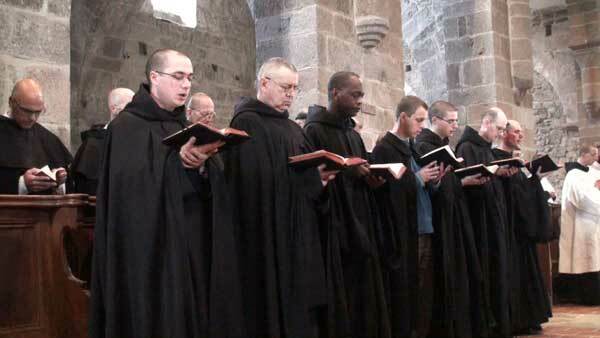 The priests residing at the priory will be able to devote time to establishing a community life with daily Mass, a public prayer routine of Prime, Sext, Compline and the rosary in the chapel, and in addition to teaching in the school, fulfill the dependent Mass circuits. 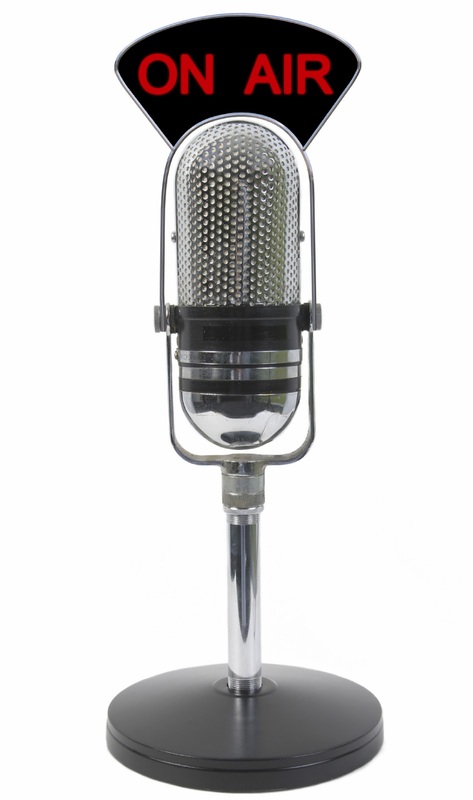 On this coming Wednesday at 8 AM Pacific Time, I will be appearing live on the Dina Maria show on KBVM Radio. Please join me by tuning in live to this one hour event where I will be discussing catechesis in the Church and the unique solutions offered by programs including CatechismClass.com. You may view details of the event here. Please join the event and remember to tune in live to the radio interview. Thank you! Gaudens gaudébo in Dómino, et exsultábit ánima mea in Deo meo: quia índuit me vestiméntis salútis, et induménto justítiae circúmdedit me. * Misericórdias Dómini in aetérnum cantábo: in generatiónem et generatiónem annuntiábo veritáte tuam in ore meo. I will greatly rejoice in the Lord, and my soul shall be joyful in my God. For He hath clothed me with the garments of salvation, and with the robe of justice He hath covered me. * The mercies of the Lord I will sing for ever: I will shew forth Thy truth with my mouth to generation and generation. Deus, qui Unigénitum tuum mundi Redemptórem constituísti, et per eum, devícta morte, nos misericórditer ad vitam reparásti: concéde; ut, haec benefícia recoléntes, tibi ejúsdem redemptiónis fructum percípere mereámur. O God, who didst establish Thy only begotten Son as Redeemer of the world and through Him, having overcome death, didst restore us mercifully unto life: grant that, recollecting these benefits, we may be made worthy to receive the fruit of that redemption. Our Lord has re-established man in a state more enviable than that of our first father, Adam, who until his sin was the possessor of remarkable gifts and immortality. With Job we can say: “I know that my Redeemer liveth,” for we have known Christ and His doctrine, and we possess Him in His Sacrament of love. The evils from which He has delivered us are both of the present life and of the future life, if indeed we cooperate with His plan for our salvation. The evils of the present life are those which affect the body, sickness and death, and those which affect the soul. Of these latter — the more important — first of all is ignorance. Before Christ came, this ignorance was so great, the darkness so thick, that men had reached the point of no longer knowing what it was most important for them to know — their origin, their nature and their future destinies. The second evil of the soul is concupiscence, that crowd of bad inclinations which make us all tend toward evil and often carry us into it. Thirdly, we have to bear a hereditary burden of sin — first, original sin, in which we are all conceived; then actual sins, into which concupiscence leads all men to a greater or lesser degree. But Jesus has delivered His faithful Christians, and all who so desire. He has delivered from ignorance by revealing to us the truths we must believe to be saved, and by teaching us through His holy Church, the continuing work of Redemption. 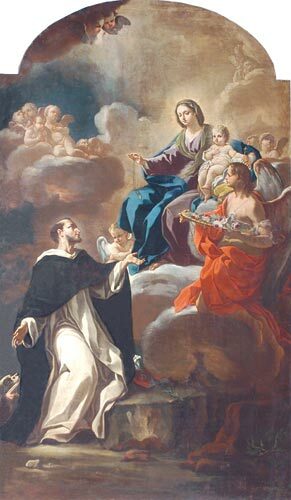 He has delivered us from concupiscence by actual graces, which if they do not extirpate all bad inclinations, at least give us the strength to overcome them and tame them. And God can well say to us, as He once said to Saint Paul, “My grace is sufficient for thee.” (I Cor. 12:9) And there is no sin for which Jesus has not earned our pardon, if we ask for it. 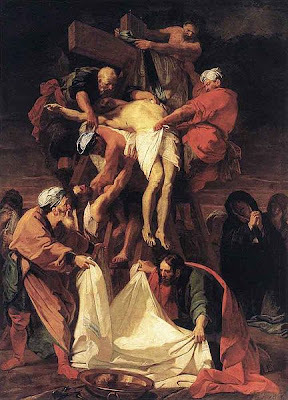 Do not the sacraments of Baptism and Penance have the power to take away every sin, even if they should be as numerous as the hairs of our head, and redder than scarlet? We are not delivered from the exterior power of sin’s chastisements affecting the body, but Jesus has made it possible to convert them into blessings, for He has won for us the strength to bear them with patience and sanctify them by submission to the holy Will of God, and thereby to make of them a very great source of merits. Death itself will not dominate us forever. After having felled us, it will be victim in its turn, for Christ will raise us up some day, as He raised Himself up, and then we will die no more. Let us say in our hearts, an unending “Thank You” to our Redeemer. As reported this morning by the New Liturgical Movement, the Holy Father while presiding over the canonization of seven new saints restored the use of the Papal Fanon. 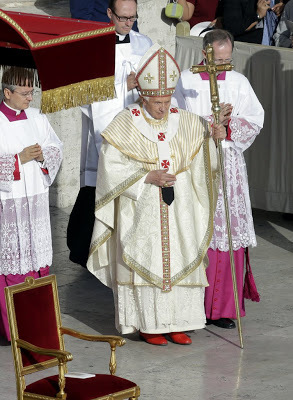 As explained by the Catholic Encyclopedia, the Papal Fanon is "a shoulder-cape worn by the pope alone, consisting of two pieces of white silk ornamented with narrow woven stripes of red and gold; the pieces are nearly circular in shape but somewhat unequal in size and the smaller is laid on and fastened to the larger one.."
Kateri Tekakwitha, the young Mohawk woman who converted to Catholicism, will become the first Native American canonized as a saint. Anna Schaffer, a German lay woman. Continuing from my post on the Consecration of a Church using the 1962 Rubrics Part II, below is Part III (the final part) of that Consecration. 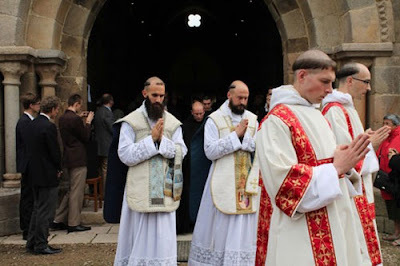 I encourage you to read the post and then watch the entirety of the Consecration via videos of the Consecration of the Church of Sts Peter and Paul. In the name of the Father, and of the Son, and of the Holy Ghost. Peace be unto this house. The Bishop venerates the relics. Under the altar of God, O Saints of God, you have received your habitation; intercede for us before the Lord Jesus Christ. V. The Saints shall rejoice in glory. R. And they shall be joyful in their beds. Let this stone be consecrated and sanctified through this anointing and the blessing of God, in the name of the Father, and of the Son, and of the Holy Ghost. Peace be unto thee. Cement is set, lining the sides of the tomb where the stone will close. 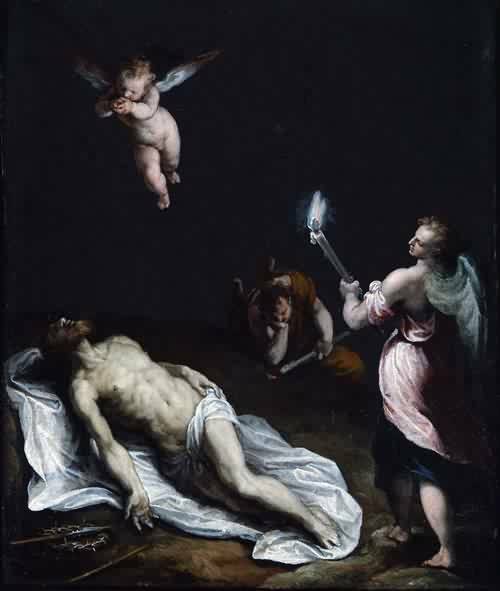 Under the altar of God I heard the voices of them that were slain saying: How long dost thou not defend our blood? And they received the divine response: You should wait for a little time, until the number of your brethren is filled up. The bodies of the Saints have been buried in peace: their names will live in eternity. V. Glory be to the Father, and to the Son, and to the Holy Ghost. As it was in the beginning, is now, and ever shall be, world without end. Amen. Let us pray. 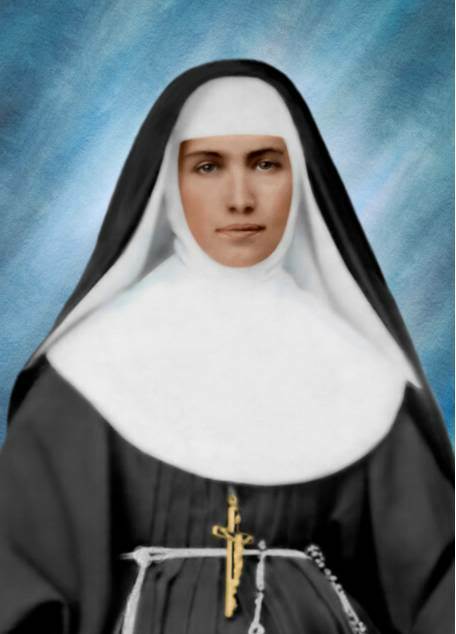 O God, who from the living union of all the Saints dost establish an eternal dwelling for thy majesty, give to thy building an increase of heavenly things; and grant that, when we embrace here with pious love these relics, we may be always assisted by their merits. Through Christ our Lord. Let this altar be signed and sanctified: In the name of the Father, and of the Son, and of the Holy Spirit. Amen. Mayest thou be blessed by him in whose honor thou art to be burnt. In the name of the Father, and of the Son, and of the Holy Spirit. Amen. Close to the altar of the temple stood an angel, having a golden censer in his hand: and there was given to him much incense; and its fragrant smoke ascended up in the sight of God. Alleluia. Let us pray. 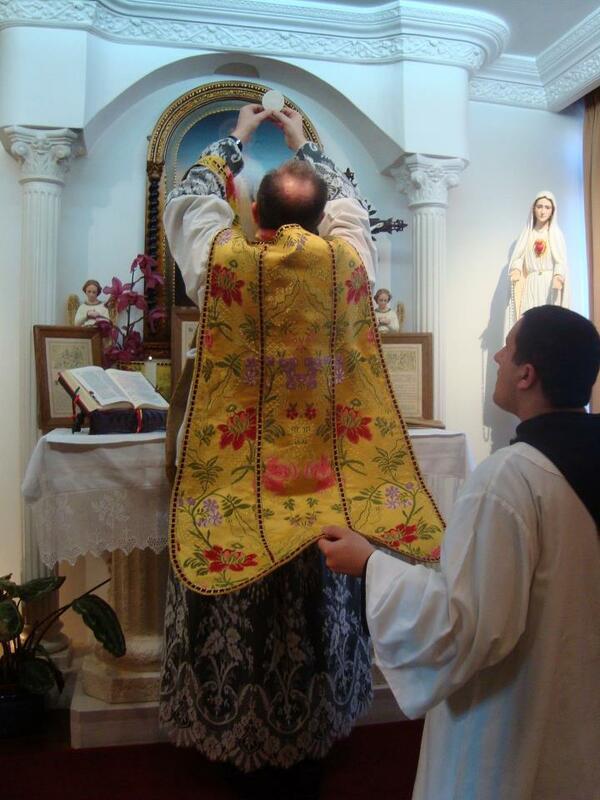 Let our prayers, we beseech thee, O Lord, be as incense in thy sight, and let the Christian people obtain copious benefits; so that whoever devoutly has offered to thee holy offerings on this altar or has received sacred things, may he both receive the necessities of this present life and also obtain at the same time the remission of all sins, and attain the grace of eternal redemption. Through Christ our Lord. Amen. After this the Bishop sits, and the ministers wipe off the altar table with a linen cloth and the Bishop incenses over it. This done, the Bishop hands one of the Priests the cope he is wearing. 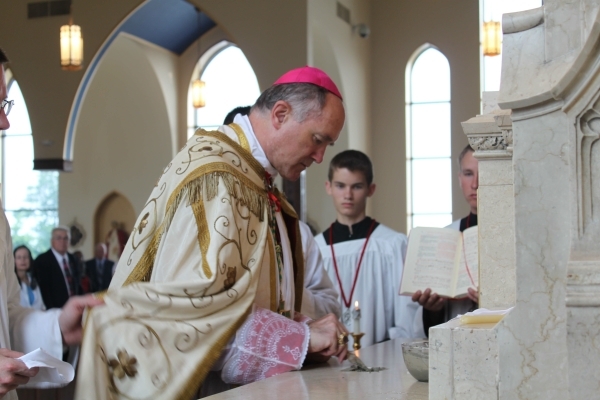 He continues to incense around the altar until the consecration is carried out, except for the time the Bishop himself is incensed. Let my prayer be directed as incense in thy sight, O Lord. V. The lifting up of my hands as and evening sacrifice. This sung, the Bishop goes around the altar three times incensing, beginning at the right. Jacob erected a stone in pledge, pouring oil upon the top of it; Jacob made a vow to God. How lovely are thy tabernacles, O Lord of hosts! my soul longeth and fainteth for the courts of the Lord. My heart and my flesh have rejoiced in the living God. For the sparrow hath found herself a house, and the turtle a nest for herself where she may lay her young ones: Thy altars, O Lord of hosts, my king and my God. Blessed are they that dwell in thy house, O Lord: they shall praise thee for ever and ever. Blessed is the man whose help is from thee: in his heart he hath disposed to ascend by steps, in the vale of tears, in the place which he hath set. For the lawgiver shall give a blessing, they shall go from virtue to virtue: the God of gods shall be seen in Sion. O Lord God of hosts, hear my prayer: give ear, O God of Jacob. Behold, O God our protector: and look on the face of thy Christ. For better is one day in thy courts above thousands. I have chosen to be an abject in the house of my God, rather than to dwell in the tabernacles of sinners. For God liveth mercy and truth: the Lord will give grace and glory. He will not deprive of good things them that walk in innocence: O Lord of hosts, blessed is the man that trusteth in thee. As the antiphons and psalms are being sung, the Bishop makes-five signs of the cross with the Catechumens Oil, in the middle and the four corners of the altar. Let this stone be sanctified and consecrated, In the name of the Father, and of the Son, and of the Holy Ghost, to the honor of God, and of the glorious Virgin Mary and of all the Saints, and to the name and memory of Saints Auxilius, Casta, and Aucta. Peace be unto thee. V. The lifting up of my hands as an evening sacrifice. The Bishop incenses the altar once and returns the thurible to the Priest. Let the goodness of thy ineffable mercy be present, O Lord, and pour over this stone the aid of thy blessing and the virtue of thy anointing; so that, by thy bestowing, recompense may be returned to whosoever will offer a prayer. Through Christ our Lord. Jacob, arising early, erected a stone in pledge, pouring oil upon the top of it: he made a vow to the Lord; truly this is a holy place, and I knew it not. It is good to give praise to the Lord: and to sing to thy name, O most High. To shew forth thy mercy in the morning, and thy truth in the night: Upon an instrument of ten strings, upon the psaltery: with a canticle upon the harp. For thou hast given me, O Lord, a delight in thy doings: and in the works of thy hands I shall rejoice. O Lord, how great are thy works! thy thoughts are exceeding deep. The senseless man shall not know: nor will the fool understand these things. When the wicked shall spring up as grass: and all the workers of iniquity shall appear: That they may perish for ever and ever: But thou, O Lord, art most high for evermore. For behold thy enemies, O Lord, for behold thy enemies shall perish: and all the workers of iniquity shall be scattered. But my horn shall be exalted like that of the unicorn: and my old age in plentiful mercy. My eye also hath looked down upon my enemies: and my ear shall hear of the downfall of the malignant that rise up against me. The just shall flourish like the palm tree: he shall grow up like the cedar of Libanus. They that are planted in the house of the Lord shall flourish in the courts of the house of our God. They shall still increase in a fruitful old age: and shall be well treated, That they may shew, That the Lord our God is righteous, and there is no iniquity in him. At the beginning of the antiphon, the Bishop again makes five signs of the cross on the altar. 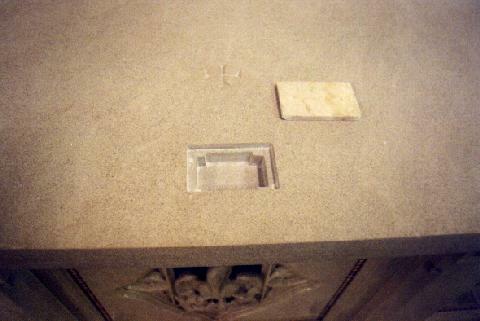 Let this stone be sanctified and consecrated. In the name of the Father, and of the Son, and of the Holy Spirit, in honor of God, and of the glorious Virgin Mary, as well as of all the Saints, and to the name and memory of Saints Auxilius, Casta and Aucta. Peace be unto thee. O Lord, be present at the dedication of this thy altar table, which has been anointed by us unworthy ones with holy oil, and pour onto it the virtue of thy benediction and sanctification. Who liveth and reignith with thee, God, world without end. R. Amen. O God, almighty and eternal, by the strength of thy blessing make holy this altar which we though unworthy do consecrate in thy honor and in memory of Saints Auxilius, Casta, and Aucta; and show the gift of thine aid to all those who call upon thee here and who place their hopes in thee, that thou mayest vouchsafe to make always acceptable the offerings placed upon this altar, so that on it the power of the Sacraments and the answer to prayers may always be obtained. Through Christ our Lord. With thy comeliness and thy beauty set out, proceed prosperously, and reign. Because of truth and meekness and justice: and thy right hand shall conduct thee wonderfully. Thy arrows are sharp: under thee shall people fall, into the heals of the king's enemies. Thy throne, O God, is for ever and ever: the sceptre of thy kingdom is a scepter of uprightness. Thou hast loved justice, and hated iniquity: therefore God, thy God. hath anointed thee with the oil of gladness above thy fellows. Myrrh and stacte and cassia perfume thy garments, from the ivory houses: out of which the daughters of kings have delighted thee in thy glory. The queen stood on thy right hand, in gilded clothing; surrounded with variety. Hearken, O daughter, and see, and incline thy ear: and forget thy people and thy father's house. And the king shall greatly desire thy beauty; for he is the Lord thy God, and him they shall adore. And the daughters of Tyre with gifts, yea, all the rich among the people. shall entreat thy countenance. After her shall virgins be brought to the king: her neighbours shall be brought to thee. They shall be brought with gladness and rejoicing: the), shall be brought into the temple of the king. Instead of thy fathers, sons are born to thee: thou shalt make them princes over all the earth. They shall remember thy name throughout all generations. Therefore shall people praise thee for ever; yea, for ever and ever. Let this stone be sacntified and consecrated. In the name of the Father, and of the Son, and of the Holy Spirit, in honor of God, and of the glorious Virgin Mary, as well as of all of the Saints, and to the name and memory of Saint Auxilius, Casta, and Aucta. Peace be unto thee. 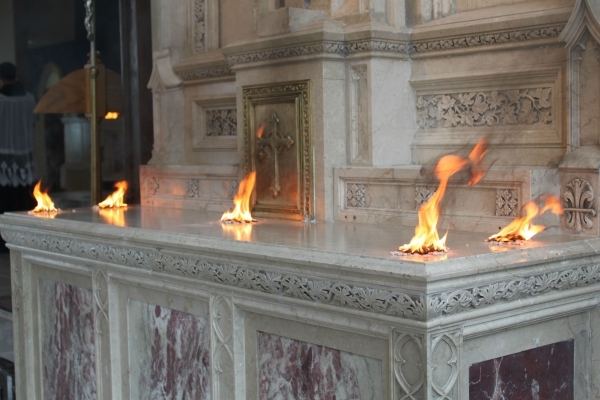 May the Holy Spirit, we beseech Thee, O Lord our God, descend upon this altar, that He may both sanctify the gifts of thy people and duly cleanse the hearts of those who partake. Through Christ our Lord. The Lord hath sanctified his tabernacle: because this is the house of God, in which his name will be invoked, of which it is written: and my name shall be there, saith the Lord. Therefore we will not fear, when the earth shall be troubled; and the mountains shall be removed into the heart of the sea. Their waters roared and were troubled: the mountains were troubled with his strength. The stream of the river taketh the city of God joyful: the most High hath sanctified his own tabernacle. God is in the midst thereof, it shall not be moved: God will help it in the morning early. The Lord of armies is with us: the God of Jacob is our protector. Come and behold ye the works of the Lord: what wonders he hath done upon earth, making wars to cease even to the end of the earth. He shall destroy the bow, and break the weapons: and the shield he shall burn in the fire. Be still and see that I am God; I will be exalted among the nations, and I will be exalted in the earth. The Lord of armies is with us: the God of Jacob is our protector. Behold the smell of my son is as the smell of a plentiful field, which the Lord hath blessed. May my God cause thee to flourish as the sands of the sea: and may he give to thee the blessing of the dew of heaven. The foundations thereof are in the holy mountains: The Lord loveth the gates of Sion above all the tabernacles of Jacob. Glorious things are said of thee, O city of God. I will be mindful of Rahab and of Babylon knowing me. Behold the foreigners, and Tyre, and the people of the Ethiopians, these were there. Shall not Sion say: This man and that man is born in her? and the Highest himself hath founded her. The Lord shall tell in his writings of peoples and of princes, of them that have been in her. The dwelling in thee is as it were of all rejoicing. Beloved brothers, let us pray that our God may bless and consecrate this stone, on which is poured the oil of holy anointing, for receiving the prayers of his people; and let that which is anointed by us be anointed in his name, so that he may receive the prayers of the people; and by this altar perfected through holy anointing, when we place upon it the propitiation of the holy rites, may we ourselves be made worthy propitiators of God. Through Jesus Christ our Lord, who with him and the Holy Spirit liveth and reigneth, world without end. R. Amen. All thy walls shall be of precious stones, and the towers of Jerusalem shall be built of jewels. Who declarers his word to Jacob: his justices and his judgments to Israel. This is Jerusalem, the great and heavenly city, adorned as the bride of the Lamb. 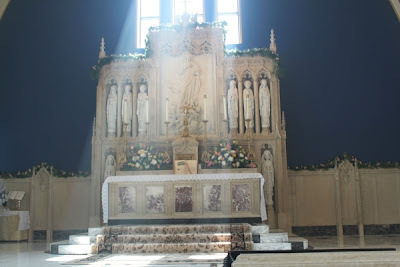 * For she has become the true tabernacle, alleluia. V. Her gates shall not be closed by day, and there shall be no night in her. * For she has become. Thy streets, O Jerusalem, shall be paved with pure gold, alleluia, and there shall be sung in thee the canticle of joy, alleluia. * And all along thy streets every one shall say: alleluia, alleluia. V. With a glorious light shalt thou shine; and all the ends of the earth shall worship thee. * And all along. Let this temple be sanctified and consecrated: In the name of the Father, and of the Son, and of the Holy Spirit, in honor of God, and of the glorious Virgin Mary, as well as of all the Saints, and to the name and memory of [insert name of the saint for whom the Church is named]. Peace be unto thee. Moses built an altar to the Lord God, offering upon it burnt offerings and immolating sacrifices; he made an evening sacrifice in the odor of sweepers to the Lord God, in the sight of the children of Israel. Beloved brothers, let us suppliants implore the mercy of God the Father almighty, so that he, having been implored by our voice, may sanctify by the blessing of the present service this altar which is meant to be imbued with spiritual sacrifices; and so that he may vouchsafe to bless and sanctify always the oblations of his servants placed on the altar in the zeal of holy devotion; and so that, appeased with spiritual incense, he who listens graciously and willingly may aid the prayers of his household. Let us pray. Lord God Almighty, before whom the hosts of angels stand with trembling, whose spiritual service is known to be fire, vouchsafe to regard, to bless, and to sanctify this creature of incense, so that all sickness, all infirmities, and all treacherous enemies may flee upon perceiving its odor, and may be separated from the creature formed in thine image, which thou hast redeemed by the precious blood of thy Son, so that he shall never be harmed by the bite of the wicked serpent. Through the same Christ our Lord. R. Amen. He sprinkles himself with blessed water. With his hand he fashions incenses in the five crosses of the altar, and over each of the five crosses, he places one cross made of a candle, so that the incense will burn to ashes. The candles are lit. Alleluia. Come, O Holy Spirit, and fill the hearts of thy faithful, and kindle in them the tire of thy love. From the hand of the Angel, fragrant smoke ascends up in the sight of the Lord. Holy Lord, Father almighty, eternal God, merciful and propitious, graciously hear our humble prayers, and behold the burnt offering at this thy altar, which is not seen by visible tire, but, instilled with the grace of thy Holy Spirit, may it ascend in the odor of sweetness, and may the Holy Eucharist be a true cure for those receiving it for the attainment of eternal life. Through Christ our Lord. R. Amen. Almighty God, in whose honor and also in honor of the most blessed Virgin Mary, and of all the Saints, and in the name and memory of thy Saints Auxilius, Casta, and Aucta, we though unworthy do consecrate this altar; O clement and merciful One, graciously hear our humble prayers, and grant that the offerings to thee at this altar table be acceptable, pleasing, rich, and always imbued with the dew of thy Holy Spirit; so that at all times in this place of supplication thou mayest for thy household relieve their fears, cure their illnesses, hear their prayers, receive their petitions, confirm their desires, and concede their requests. Through our Lord Jesus Christ thy Son, who liveth and reigneth with thee in the unity of the same Holy ghost, God. World without end. R. Amen. V. Let us give thanks unto the Lord our God. It is truly meet and just, right and profitable, for us, at all times, and in all places, to give thanks unto thee, O Lord, the holy One, the Father almighty, everlasting God: and, so that we may give to thee the offices of service with more favorable care and with more attentive obedience, especially at this time, seeing that thou hast preferred the habitude of religious minds more than the decoration of wails, mayest thou deign to bless and sanctify this temple, in which mention is made of thy Saints Auxilius, Casta, and Aucta: For the reverence and honor of whom, we dedicate this altar in thy most holy name. O Lord, vouchsafe to bless and pour over this altar by means of heavenly sanctification the urgent prayers of these Saints. May thy Angels of light stand near, and may the Holy Spirit shine forth with brightness. May the altar of that grace belong to thee, whose altar was that which Abraham, the father of the Faith, built to sacrifice his son as a prefiguration of our redemption; which isaac established in the face of thy majesty; which Jacob, seeing a great vision, built to the Lord; so that here thou mayest graciously listen to prayers, here sanctify oblations, and here bless offerings, and here also distribute blessings. May this altar therefore be the eternal pledge of thy church, and may it be the table for the preparation of the heavenly and spiritual feast. 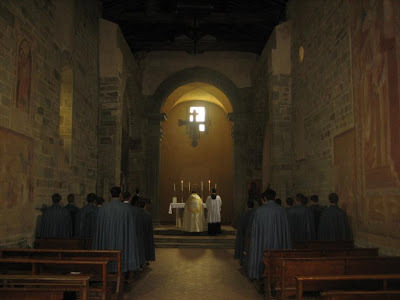 Thou therefore, O Lord, bless by thine own mouth the hosts placed upon this altar and receive the sacrifices; and grant to us all, that by participating we may acquire eternal life. Through our Lord Jesus Christ, thy Son, who liveth and reigneth with thee in the unity of the same Holy Spirit, God, world without end. Amen. Confirm, O God, what thou hast wrought in us, from thy holy temple, which is in Jerusalem. Alleluia. Let God arise, and let his enemies be scattered: and let them that hate him flee from before his face. As smoke vanisheth, so let them vanish away: as wax melteth before the fire, so let the wicked perish at the presence of God. And let the just feast, and rejoice before God: and be delighted with gladness. Sing ye to God, sing a psalm to his name, make a way for him who ascendent upon the west: the Lord is his name. Rejoice ye before him: but the wicked shall be troubled at his presence, Who is the father of orphans, and the judge of widows. God in his holy place: God who maketh men of one manner to dwell in a house: Who bringeth out them that were bound in strength; in like manner them that provoke, that dwell in sepulchers. O God, when thou didst go forth in the sight of thy people, when thou didst pass through the desert: The earth was moved, and the heavens dropped at the presence of the God of Sina, at the presence of the God of Israel. Thou shalt set aside for thy inheritance a free rain, O God: and it was weakened, but thou hast made it perfect. In it shall thy animals dwell; in thy sweetness, O God, thou hast provided for the poor. The Lord shall give the word to them that preach good tidings with great power. The king of powers is of the beloved, of the beloved; and the beauty of the house shall divide spoils. If you sleep among the midst of lots, you shall be as the wings of a dove covered with silver, and the hinder parts of her back with the paleness of gold. When he that is in heaven appointeth kings over her, they shall be whited with snow in Selmon. The mountain of God is a fat mountain. A curdled mountain, a fat mountain. Why suspect, ye curdled mountains? A mountain in which God is well pleased to dwell: for there the Lord shall dwell unto the end. The chariot of God is attended by ten thousands; thousands of them that rejoice: the Lord is among them in Sina, in the holy place. Thou hast ascended on high, thou hast led captivity captive; thou hast received gifts in men. Yea for those also that do not believe, the dwelling of the Lord God. Blessed be the Lord day by day: the God of our salvation will make our journey prosperous to us. Our God is the God of salvation: and of the Lord, of the Lord are the issues from death. But God shall break the heads of his enemies: the hairy crown of them that walk on in their sins. The Lord said: I will turn them from Basan, I will turn them into the depth of the sea: That thy foot may be dipped in the blood of thy enemies; the tongue of thy dogs be red with the same. They have seen thy goings, O God, the goings of my God: of my king who is in his sanctuary. Princes went before joined with singers, in the midst of young damsels playing on timbrels. In the churches bless ye God the Lord, from the fountains of israel. There is Benjamin a youth, in ecstasy of mind. The princes of Juda are their leaders: the princes of Zabulon, the princes of Nephthali. Command thy strength, O God: confirm, O God, what thou hast wrought in us. From thy temple in Jerusalem, kings shall offer presents to thee. Rebuke the wild beasts of the reeds, the congregation of bulls with the kine of the people; who seek to exclude them who are tried with silver. Scatter thou the nations that delight in wars: ambassadors shall come out of Egypt: Ethiopia shall soon stretch out her hands to God. Sing to God, ye kingdoms of the earth: sing ye to the Lord: Sing ye to God, who mounteth above the heaven of heavens, to the east. Behold he will give to his voice the voice of power: give ye glory to God for israel, his magnificence, and his power is in the clouds. God is wonderful in his saints: the God of Israel is he who will give power and strength to his people. Blessed be God. Glory be to the Father and to the Son and to the Holy Ghost. As it was in the beginning, is now, and ever shall be, world without end. Amen. Meanwhile, the Bishop anoints the front of the altar with Chrism. Let us pray. O Lord, we humbly implore of thy majesty that thou vouchsafe to bless and sanctify powerfully this altar anointed by the pouring of holy unction for receiving the gifts of thy people, so that this altar, which has now been anointed by us unworthy ones, under the invocation of thy name, in honor of the most blessed Virgin Mary, and of all the Saints, and in memory of thy Saints Auxilius, Casta, and Aucta, may be pleasing to thee, and maintained in perpetuity; so that henceforth whatever holy oblation is placed thereon will become a worthy offering to thee; and so that the sacrifices here of all offerings may be graciously received by thee, holy Lord, and through them the bonds of our sins may be released, our stains blotted out, pardons obtained, and graces acquired, so that we may be worthy, in unity with thy Saints and the elect, to attain eternal life. Through Christ our Lord. R. Amen. Let us pray. We humbly beseech thee, almighty and eternal God, through thy only begotten son Jesus Christ our Lord, that thou mayest sanctify by thy heavenly benediction this altar prepared for holy use; and even as thou hast accepted with wonderful graciousness the offering of Melchisedech the extraordinary Priest, in the same way vouchsafe to make always acceptable the gifts placed upon this new altar, so that thy people, who will assemble in this holy house of the Church, may obtain salvation through these offerings by heavenly sanctification and may also obtain the eternal health of their souls. Through the same Christ, our Lord. R. Amen. Let us pray. Almighty and merciful God, who hast created from the beginning all mannerly things useful and necessary for men, and who hast desired temples made by the hand of men to be dedicated to thy holy name and to be called places of thy habitation, and who hast decreed through thy servant Moses to be made Pontifical, Priestly and Levitical vestments, and other diverse decorations for cult and for decorating thy tabernacle and altar: graciously hear our prayers, and vouchsafe to purify, bless, sanctify, and consecrate through our humble service all these diverse types of ornaments for the use of this thy church and altar prepared for thy honor and glory; so that they may be fitting for the divine cult and holy mysteries of the Body and Blood of Jesus Christ thy Son our Lord, and so that they may worthily be useful for the servants confecting the Body and Blood of Jesus Christ thy Son our Lord. Who liveth and reigneth with thee in the unity of the Holy Spirit, God, world without end. R. Amen. Surround, O Levites, the altar of thy Lord God, and clothe it with white raiment, and ye shall be singing a new hymn, saying Alleluia. V. God is wonderful in his Saints, and holy in all his works. V. Glory be to the Father, and to the Son, and to the Holy Ghost. R. As it was in the beginning, is now, and ever shall be, world without end. Amen. Surround Sion and encompass her, tell ye her wonders in her towers. V. Great is the Lord and exceedingly to be praised, in the city of our God, in his holy mountain. The Lord hath clad thee with a garment of joy, and hath set a crown on thy head. * And he hath adorned thee with holy ornaments. V. Thou shalt shine with a glorious light, and all the ends of the earth shall worship before thee. * And he hath adorned. V. Nations from afar shall come to thee, and bringing gifts shall adore the Lord; and they shall esteem thy land as holy, and shall call upon thy great name. * And he hath adorned. V. Blessed shall they be that build thee up; but thou shalt rejoice in thy children. because they shall be all blessed, and shall be gathered together to the Lord. * And he hath adorned. Under the covert of thy wings, protect us, O Lord, and let us glory in thy praise. O God, my God, to thee do I watch at break of day. For thee my soul hath thirsted; for thee my flesh, O how many ways! In a desert land, and where there is no way, and no water: so in the sanctuary have I come before thee, to see thy power and thy glory. For thy mercy is better than lives: thee my lips shall praise. Thus will I bless thee all my life long: and in thy name I will lift up my hands. Let my soul be filled as with marrow and fatness: and my mouth shall praise thee with joyful lips. If I have remembered thee upon my bed, I will meditate on thee in the morning: because thou hast been my helper. And I will rejoice under the covert of thy wings: my soul hath stuck close to thee: thy right hand hath received me. But they have sought my soul in vain, they shall go into the lower parts of the earth: They shall be delivered into the hands of the sword, they shall be the portions of foxes. But the king shall rejoice in God, all they shall be praised that swear by him: because the mouth is stopped of them that speak wicked things. Glory be, etc. As it was, etc. Let all the earth adore thee, and sing to thee: let it sing a psalm to thy name, O Lord. Let us pray. May the Holy Spirit, we beseech Thee, O Lord our God, descend upon this altar, that He may both sanctify the gifts of thy people and duly cleanse the hearts of those who partake. Through Christ our Lord. R. Amen. Let us pray. 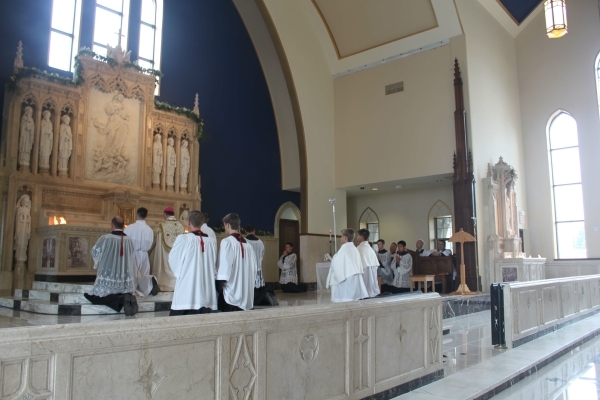 Almighty, eternal God, sanctify by the power of Thy heavenly blessing this altar, dedicated to Thy name, and show the blessing of Thine assistance unto all who hope in Thee, that both the power of the sacraments and the effect of prayer may here be obtained. Through our Lord Jesus Christ, Thy Son, Who liveth and reigneth with Thee in the unity of the Holy Ghost, God, world without end. R. Amen. 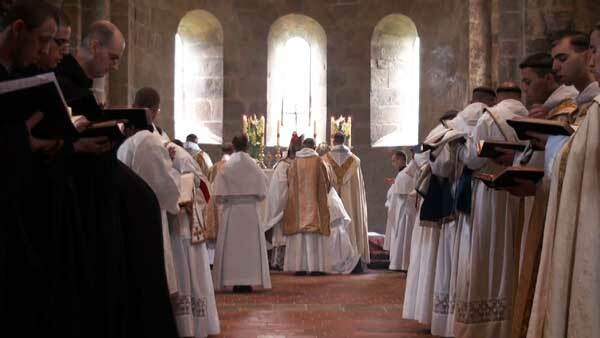 The Bishop returns to the sacristy where he or a priest begins to vest for Mass. Meanwhile the ornaments of the church are put in their proper places and the candles over the altar are lit. Terrible is this place: it is the house of God, and the gate of heaven; and shall be called the court of God. Ps. 83, 2, 3. How lovely are Thy tabernacles, O Lord of Hosts: my soul longish and faintish for the courts of the Lord. V. Glory. O God, Who dost invisibly contain all things, and yet dost visibly show the signs of Thy power for the salvation of mankind, illumine this temple by the virtue of Thine indwelling, and grant that all who assemble here to pray, from whatsoever tribulation they shall call upon Thee, may obtain the blessings of Thy consolation. Through our Lord. In those days, I saw the holy city, the new Jerusalem, coming down out of heaven, from God, prepared as a bride adorned for her husband. And I heard a great voice from the throne, saying, Behold the tabernacle of God with men; and He will dwell with them: and they shall be His people, and God Himself with them shall be their God: and God shall wipe away all tears from their eyes; and death shall be no more, nor mourning, nor crying, nor sorrow shall be any more, for the former things are passed away. And He that sat on the throne said, Behold, I make all things new. Alleluia, alleluia. V. Ps. 137: 2. I will worship toward Thy holy temple; and I will give glory to Thy name. Alleluia. At that time, Jesus entering in, walked through Jericho. And behold there was a man named Zachaeus, who was the chief of the publicans, and he was rich; and he sought to see Jesus Who He was, and he could not for the crowd, because he was of low stature. And running before, he climbed up into a sycamore-tree that he might see Him, for He was to pass that way, And when Jesus was come to the place, looking up, He saw him, and said to him, Zachaeus, make haste and come down, forties day I must abide in thy house. And he made haste and came down, and received Him with joy. And when all saw it, they murmured, saying that He was gone to be a guest with a man that was a sinner. But Zachaeus standing, said to the Lord, Behold, Lord, the half of my goods I give to the poor, and if I have wronged any man of anything, I restore him fourfold. Jesus said to him, This day is salvation come to this house; because he also is a son of Abraham. For the Son of man is come to seek and to save that which was lost. O God, Who art the author of the gifts that are to be consecrated to Thee, pour forth Thy blessing upon this house of prayer, that the help of Thy defense may be felt by all who here invoke Thy name. Through our Lord. My house shall be called the house of prayer, saith the Lord; every one that asks therein, receives; and he who seeks, finds; and to him who knocks, it shall be opened. We pray Thee, O almighty God, that in this place, which we, unworthy, have dedicated to Thy name, the ears of Thy loving-kindness may be inclined unto all who make their petitions. Through our Lord. 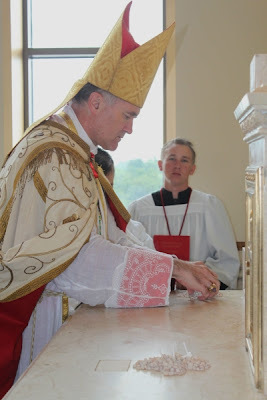 Note: Photos in this post are from the Consecration of our Lady of the Assumption in 2011 by Bishop Fellay. 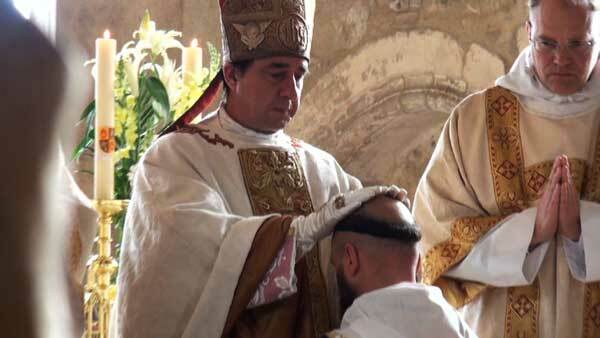 His Excellency Bishop Fellay recently conferred the subdiaconate, minor orders and tonsure to seminarians at the SSPX's Seminario Nuestra Senora Corredentorain La Reja, Argentina. Please join me in praying for these seminarians. 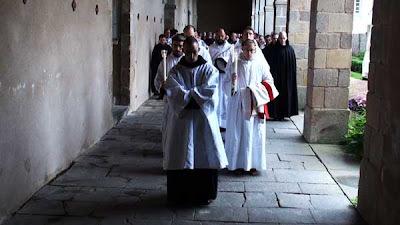 Several weeks ago I posted about the then upcoming Ordination of Mendicant Friars by Bishop Galarreta. 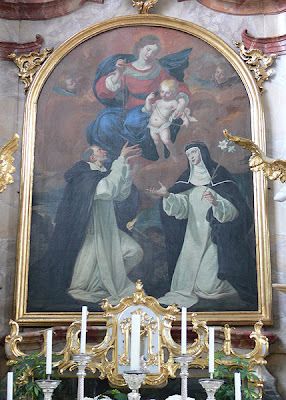 The names of the four Capuchin friars and the three Dominican friars are mentioned in my prior post. Please visit it and remember each of them in prayer. Present for the momentous occasion of these religious communities were 85 priests and religious from the SSPX and other friendly communities, of which 51 were priests - who after the bishop also imposed hands upon the priestly ordinands to bless and supernaturally strengthen them as new alter Christi. Photo: Mass at the Abbey of Santa Maria in Montepiano. Twenty new seminarians assisting at Mass celebrated by Monsignor Gilles Wach, while on retreat at the Abbey of Santa Maria in Montepiano. “If anyone says that the rite of the Roman Church, according to which a part of the canon and the words of consecration are pronounced in a low tone, is to be condemned, let him be anathema.” Council of Trent (Session XXII, Canon 9). 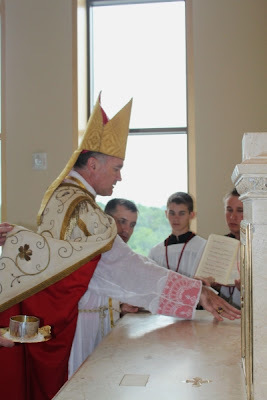 Recommended Reading: Father Paul L. Kramer's "The Suicide of Altering the Faith in the Liturgy," Chapter II, Part II. Today 95 years ago, our Lady appeared to three small children in Portugal...our Blessed Mother revealed a message of hope and a warning to the faithful. Happy feast of Our Lady of Fatima. Since the 1930's the Church has approved and supported these apparitions as authentic. All following popes have also voiced their approval of these apparitions. They really happened! Read about the monthly apparitions from May through October 1917. 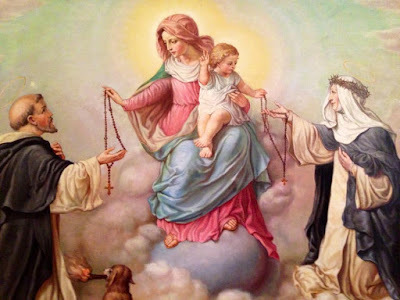 See my post: Devotion to the Most Holy Rosary for more information concerning today's feastday. Below are the propers for today's Mass. COLLECT - God, Whose only-begotten Son, by His life, death, and resurrection hath purchased for us the rewards of eternal life: grant, we beseech Thee, that, meditating on the mysteries of the most holy Rosary of the Blessed Virgin Mary, we may imitate what they contain and obtain what they promise. Through the same Lord Jesus Christ, Thy Son, Who livest and reignest with Thee in the unity of the Holy Ghost, one God. Forever and ever. COMMEMORATION OF ST MARK - Let us pray. Eternal Shepherd, do Thou look favorably upon Thy flock, which we beseech Thee to guard and keep for evermore through the blessed Mark, Supreme Pontiff, whom Thou didst choose to be the chief shepherd of the whole Church. Through the same Lord Jesus Christ, Thy Son, Who liveth and reigneth with Thee in the unity of the Holy Ghost, one God Forever and ever. Lesson from the book of Wisdom. The Lord possessed me in the beginning of His ways, before He made anything, from the beginning. I was set up from eternity, and of old, before the earth was made. The depths were not as yet, and I was already conceived Now, therefore, ye children, hear me: blessed are they that keep my ways. Hear instruction, and be wise, and refuse it not. Blessed is the man that heareth me, and that watcheth daily at my gates; and waiteth at the posts of my doors. He that shall find me, shall find life, and shall have salvation from the Lord. Thanks be to God. Because of truth, and meekness, and justice: and thy right hand shall conduct thee wonderfully. V. Hear, O daughter, and see, and incline thine ear; for the King hath desired thy beauty. Alleluia, alleluia. V. The solemnity of the glorious Virgin Mary, of the seed of Abraham, sprung from the tribe of Juda, of the noble line of David. Alleluia. POST COMMUNION -May we be assisted, we beseech Thee, O Lord, by the prayers of Thy most holy Mother, whose Rosary we celebrate, that the virtue of the mysteries we adore may be shared and the effect of the sacraments we have received may be obtained. Who livest and reignest, with God the Father, in the unity of the Holy Ghost, God, Forever and ever. R. Amen. COMMEMORATION OF ST MARK -Since Thy Church has been nourished by the sacred repast, govern her in Thy clemency, we beseech Thee, O Lord, so that under the guidance of Thy mighty rule she may enjoy greater freedom and abiding integrity of religion. Through the Lord Jesus Christ, Thy Son, Who liveth and reigneth with Thee in the unity of the Holy Ghost, one God For ever and ever. R. Amen.